As different Korean Pop (K-Pop) groups and celebrities invades the Filipinos love for music and also for drama - or which we call it teleserye - aside from their acting skills, beautiful voices and very creative music videos which go viral online, we also love our favorite Korean Celebrities fashion sense. Through the years, Korean Fashion keeps on growing and evolving all over the world. Western-style fashion greatly affects how South Koreans changed in terms of fashion. It's been an instant hit on how Koreans dressed very girly, classy and casual, unique and very expressive. As celebrities and K-Pop groups invades the Philippine's love for music and drama, Filipinos has been fascinated with Korean Fashion. We often see how people, especially teens, are keeping up with the Korean Fashion. We often see how they adapt with Korean Fashion in terms of hair, accessories, shoes and dress. In relation to this, there are a lot of malls, boutiques, and bazaars which you can find and avail different Korean fashion-inspired items. But if you happened to have no time going out, you can browse and shop from different online stores. I am a huge fan of Korean Fashion! 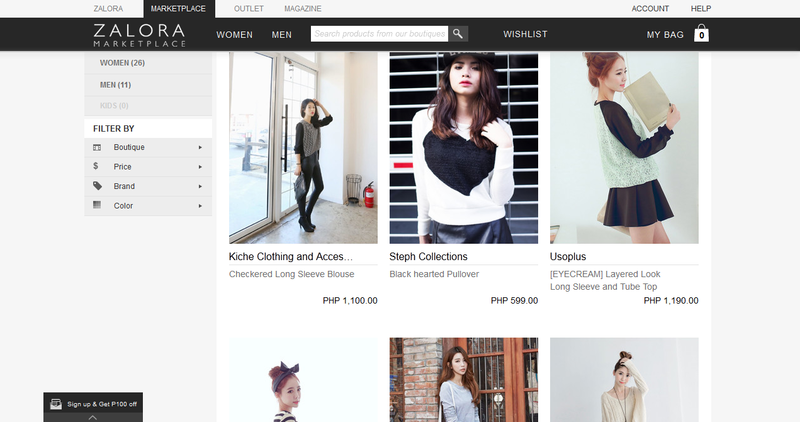 And if you are looking for an online shop, you can find Korean-inspired outfits online at Zalora. You can find different accessories from shoes, backs, necklaces, bracelets, eye glasses and other accessories that surely will fit to your Korean-inspired outfit. They also have different dresses for men and women like blouses, skirts, pants and many more. 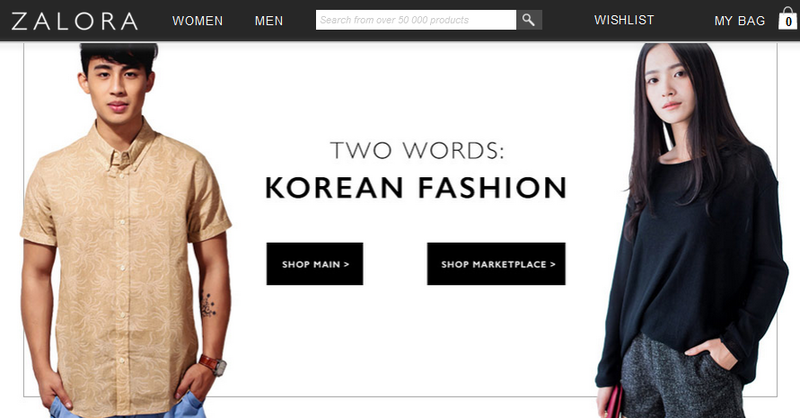 ZALORA Philippines now carries a comprehensive range of Korean Fashion especially for K-pop fans! Do you love online shopping? 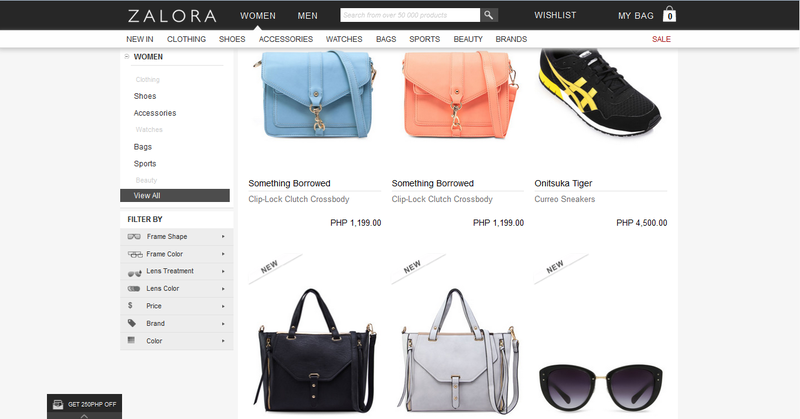 Ranneveryday ヅ will be giving Php 300.00 Gift Voucher from Zalora Philippines! All you have to do is to leave an answer and share the blog post! 1. Answer the question: "Who's your favorite Korean Star and why?" Comment your answer on the blog post. 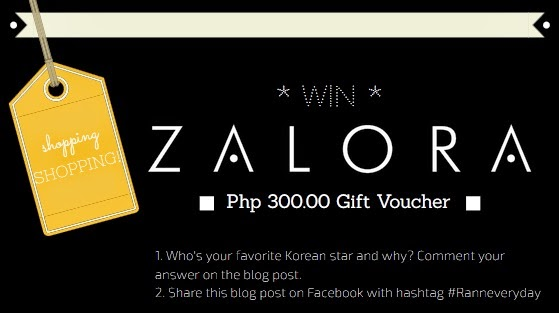 One (1) lucky winner will receive Php 300.00 Gift Voucher courtesy of Zalora Philippines. Promo will be on March 20 - April 4, 2015. Winner will be chosen via Random.Org. Disclaimer: Images source from Zalora Philippines website.